Walden Properties, LLC located at 2345 Walden Avenue in Buffalo, New York, is offering prime commercial space for lease. Our 466,000 square foot building can be delivered in a range of configurations specifically designed to meet prospective tenant needs. 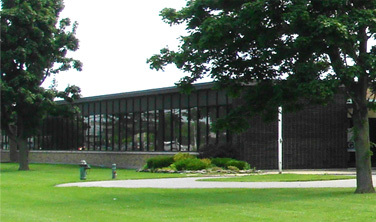 This facility is situated less than a ½ mile from Exit 52 of the New York State Thruway. Exit 52 allows easy access to Interstates 190 and 290 that lead to Canada via the Peace Bridge in Buffalo and the Lewiston-Queenston Bridge in Niagara Falls. Those highways offer our tenants a direct conduit to 55 percent of the United States population and 62 percent of the Canadian population. Our tenants enjoy ceiling clearances of 19’ 4”, heavy power, a sprinkler system, and on-site parking. In addition, the building has 22 truck-height dock doors, several grade-level doors, and an indoor rail siding that connects to the mainline track between New York City and Chicago. We are also able to supply nicely-appointed office space with excellent employee-friendly amenities. See Floor Plan & Pictures for detailed information and photos.